Freelance illustrator and author of Tomodachi Magnet manga, Mago has drawn illustrations for notable works such as Hatsune Miku Magical Mirai 2016's "39 Music!" and fashion brand "PredatorRat." 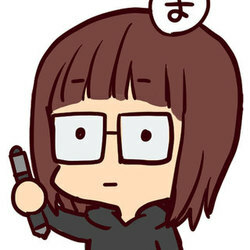 Mago has actively participated on many Studio TRIGGER's original titles as the official SD character designer. The line up includes KILL la KILL, Kiznaiver, and Little Witch Academia. In 2016, she was the main character designer for Space Patrol Luluco.